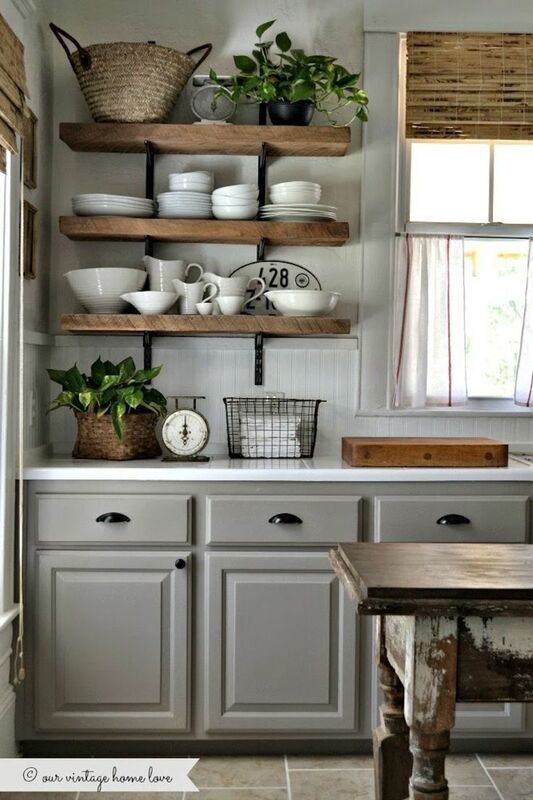 How do you feel about open shelves in the kitchen? I would have to say there are plusses and minuses. In a small kitchen I love the way they seem to open up the space. 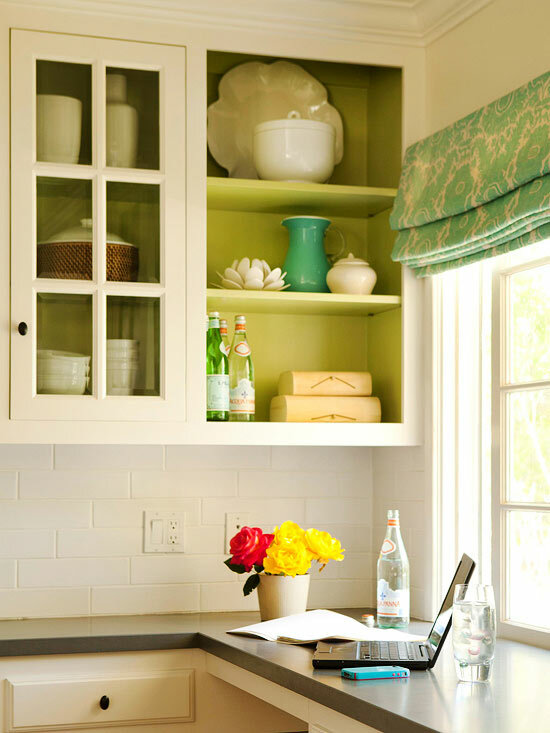 Open shelves can be an inexpensive alternative to cabinets. Removing a cabinet door can be a great way to create a display area in your kitchen. I love the homey feel that the open shelves contribute to this space. 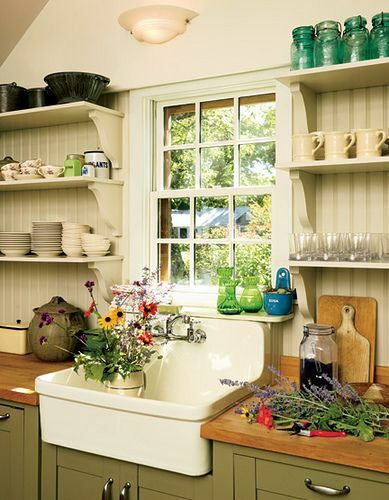 The tradition of a farmhouse kitchen just seems to call for open shelving, where everything is in easy reach for the busy cook. 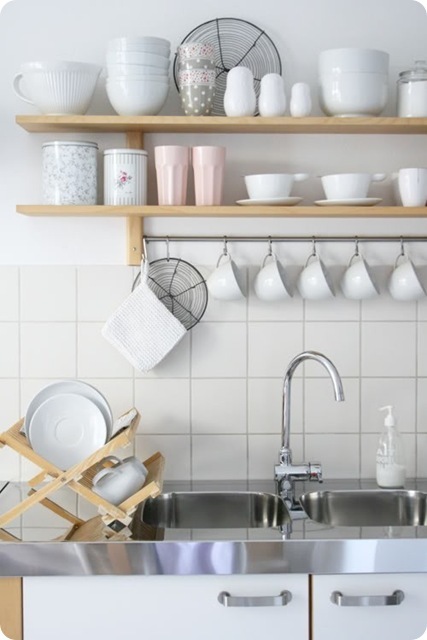 There are so many things to love about open shelving in the kitchen, so what are the minuses. Well I guess it is hard to hide clutter and things might get dusty, but for me the plusses definitely outweigh the minuses. How do you feel about having open shelves in the kitchen? Do you think they are a simpler way of decorating? 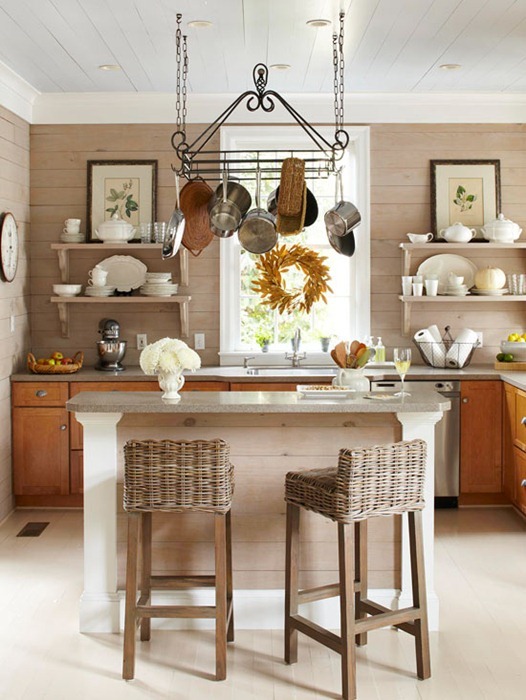 I do love the look of open shelving in the kitchen, but it wouldn't work here. I have too many dishes for it to look 'cool.' My daughter, on the other hand, being as spartan as she is, would pull that off marvelously. I especially like the look in white kitchens. Clean and sparse. Love the look. It works in my kitchen. In mine the shelving is driftwood boards. I'm like Gwen! I love the open look, just have way too much stuff and I don't want to part with any of it because I love to cook. We are finishing up a long, long, long-going renovation. Open cabinets wouldn't work for me even though i truly think they are charming! I love the open look but most likely wouldn't have it ...dust, etc. I love open shelving in kitchens but my husband isn't a fan. So, I may not end up having them in my future. However, I did take some cabinet doors off and have my everyday dishes on display and out for use. I think they're a wonderful alternative to expensive cabinets and if you have nice dishes a great way to add style to your kitchen.